Welcome to Best Hong Kong Dining. 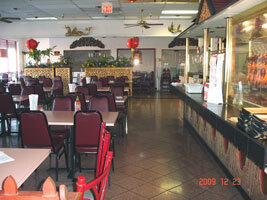 Authentic Cantonese & Mandarin Cuisine & Live Seafood Available. It is entirely possible to spend 6 or 7 dollars per entree at Best Hong Kong Dining, but don't bother. All the really fun stuff - the barbecue pork, roast duck and five spice chicken - costs about $4.25, five bucks at the most. There are also great noodle dishes such as chow mein, lo mein and chow fun, as well as rice plates and porridge (aficionados call it "congee") - all at rock bottom prices. So you and your wallet can both leave full.